At the end of the tenth week of basketball action in the National Elite Basketball League (NEBL) Tournament, the San Pedro Tiger Sharks have secured their ticket to this year’s playoffs. The island team is hoping to capture the championship, preparing to bring a challenge the other NEBL top teams. With Belmopan Bandits and Verdes losing this weekend, both teams have been stripped of all hopes to make the playoffs. Verdes, Belmopan Bandits and Orange Walk Running Rebels were also unable to make the playoffs this season. San Pedro Tiger Sharks, are joined by the Griga Dream Ballers, Smart Belize Hurricanes, and DigiCell Belize City Defenders as the four playoff teams that are now fighting for playoff positioning and home court advantage in the first round. On Friday, the Belmopan Bandits hosted the Belize City Defenders at the University of Belize gymnasium in Belmopan City. The City Defenders controlled the game from the start, leading 55-44 at halftime. That lead became tight by the end of the third quarter, with an 83 – 84 score. But by the end of the game, the visiting squad was able to steal the victory 94-90. With this win, the Digicell Belize City Defenders secured their spot in the semi-finals, and denying the Belmopan Bandits a spot in the semi-finals. That same Friday, Smart Belize Hurricanes hosted the Orange Walk Running Rebels in Belize City. At the end of the first quarter, Hurricanes had obtained an 11- point lead and by halftime, they were comfortably winning with a 44-27 score. During the second half, the City’s team kept their dominant streak, ultimately winning 105-56. On Saturday, April 7th, Dangriga Dream Ballers traveled to San Ignacio where they faced the Verdes. The first half of the game was quite intense, with both teams scrambling to stop the scoreboard. At halftime, Verdes had a one-point lead over the visiting team. 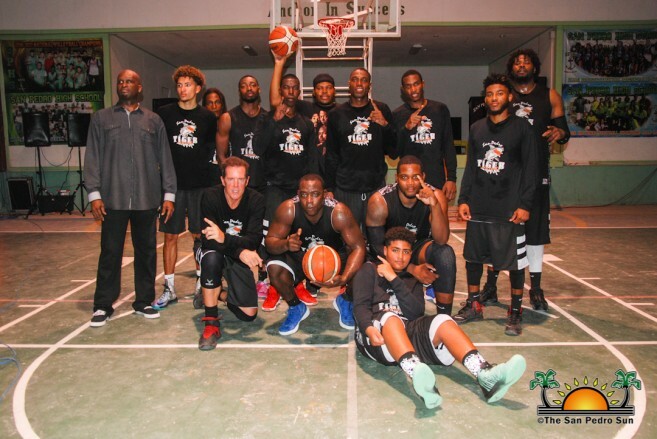 In the second half of the game, Verdes finished the third quarter leading by three points over Dangriga Dream Ballers, but the last quarter saw a significant change in favor of the visiting team, who stole the victory by two points, winning 70-68. The San Pedro Tiger Sharks did not play during the weekend because they had previously played their tenth game of the season. Even though the four teams for the playoffs have been determined, there are a few more games to be played in the regular season. On Friday, April 13th, Verdes face the DigiCell Belize City Defenders at St. Catherine's Academy, while the Belmopan Bandits take on the Orange Walk Running Rebels in Orange Walk Town. All games can be followed live on NEBL’s website at nebl.sportingpulse.net, with real-time box scores, while the game is being played. The website also has all game scores, box scores, players and teams’ statistics, along with standings for the season. Interoffice Basketball League 2012 kicks off: Tuff E Nuff wins!